The battle for the title of best rock band ever continues nearly half a century after it began, with both the Beatles and the Rolling Stones releasing singles on the very format they began recording on over 40 years ago: the seven-inch. On Record Store Day (April 17), the remaining half of the Fab Four will see the release of a seven-inch vinyl single that features early hit "Paperbag Writer" on one side and psychedelic favourite "Rain" on the other. The single will come housed in a vintage-looking paper sleeve courtesy of Parlophone, in a limited run of just 1,000 copies. 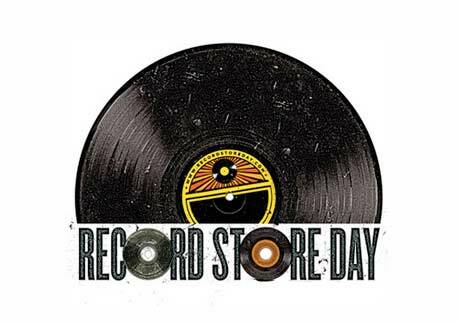 The single, along with a series of other limited seven-inches from Parlophone artists like Pet Shop Boys, Bat For Lashes, Lily Allen, Babyshambles and Hot Chip, will be exclusive to stores participating in this year's Record Store Day. The Beatles single will be released mainly in the UK, but a few copies will reportedly find their way to North American shores. In a statement about the releases, label president Miles Leonard stated: "Parlophone and our artists recognize the importance of our indie stores and their contribution to not only our new and developing artists but to our catalogue as a whole. Being able to support this campaign with some great seven-inch releases from the Beatles to Bat for Lashes is our way of thanking them for their continued support." What seemed like mere moments before Parlophone announced the Beatles single, news broke of another Record Store Day single, this one by none other than the Rolling Stones. Following the recent excavation of ten unreleased Exile on Main Street-era tracks, Universal Music is releasing unreleased track "Plundered My Soul" on a limited-edition seven-inch backed by Exile album track "All Down the Line." Each of the 1,000 copies printed will be numbered for collectors. If you ask us, Record Store Day just got a lot more exciting. Not that it wasn't already - just take a look at all the exclusives.